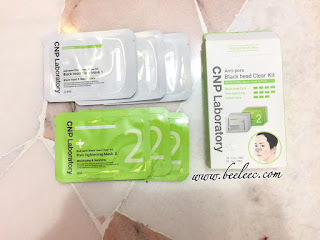 Anyone tried CNP products before? 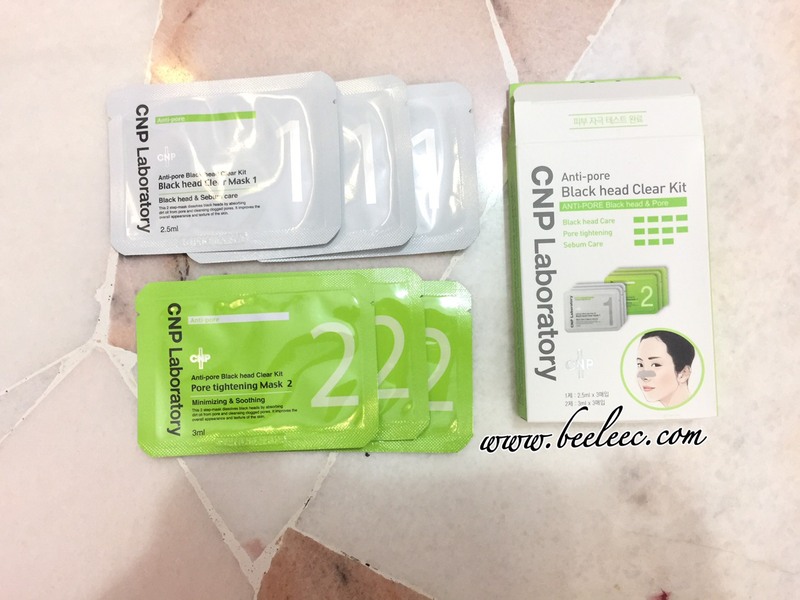 My sis have been telling me the many good reviews of CNP Laboratory. Was about to check them out & coincidentally Hermo Malaysia contacted me for the collaboration and I was beyond cloud nine! Exactly 14 days after usage and below is my verdict! It contains high concentration of propolis that helps to reinforce vitality of your skin. Propolis is popular for its skin protection & healing efficacy. It is a skin friendly product containing pure essential oils & it is free of preservatives that may potentially irritate the skin. Normal usage (on its own) - After cleanse & tone, apply a moderate amount to whole face and massage gently. Use with Moisturizer - Mix a few drops to moisturizer/cream to boost its effects on skin and even make the moisturizer more spreadable. A trick to ensure we wake up with a radiant skin the next day after sleeping in an air conditioner room. Mix with BB/CC Cream - BB/CC cream doesn't become cake-y/dry throughout the day. Face brightener - Dispense a drop of ampule to finger tips and gently dab on apples and brow bones of the face, for that subtle shimmer than highlighter. Started using on 02/06/2017 Night till today (16/06/2017). I used it on its own, on a day and night basis. Sometimes only at night when I don't cleanse my face in the day. 1. Bare lips (if you can see it is slightly peeling at the center of lower lips and overall, chapped. 2. 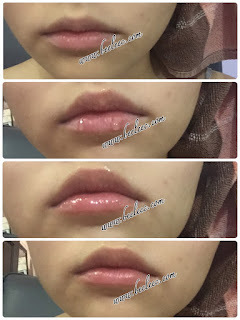 A drop of ampule on finger applied to lips. The next morning after I brush my teeth, the lips are still plump and I LOVE it! 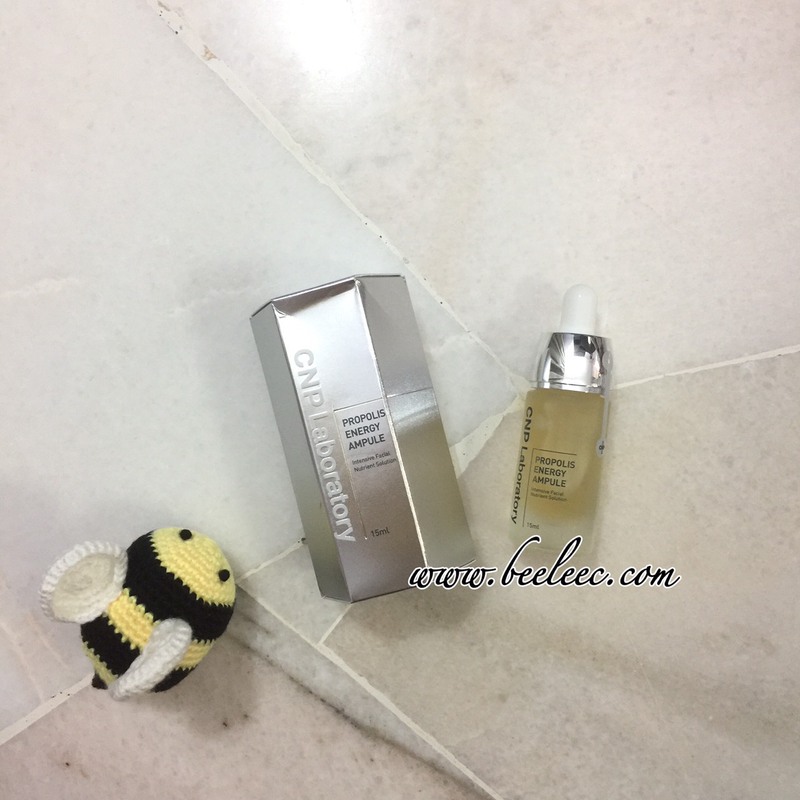 For normal usage, I find my face requires as little as 2 drops for a plump and glowing face. Some people with smaller faces only needs 1 drop. So I think a bottle can last quite a few months. Will update you again when I have finished mine! ^^ I have tried applying it more than two drops before, it just takes a longer time for it to be absorbed. When it is still wet, it may be somewhat sticky. It helps my make up spread with ease and lasts longer as moisture of my face is boosted. An easy, convenient and affordable blackhead treatment that helps keep skin smooth and clear! Gently removes black heads and control sebum. Tightens pores for a cleaner and smoother appearance. Water, Hamamelis Virginiana (Witch Hazel) Water, 1, 2-Hexanediol, Salvia Officinalis (Sage) Extract, Mentha Piperita (Peppermint) Extract, Melissa Officinalis Leaf Extract, Arctium Majus Root Extract, Viscum Album (Mistletoe) Extract, Hypericum Perforatum Extract, Saponaria Officinalis Leaf Extract, Butylene Glycol, Juniperus Communis Fruit Extract, PEG-8, Punica Granatum Fruit Extract, Ficus Carica (Fig) Fruit extract, Codonopsis Lanceolata Root Extract, Potassium Hydroxide, PEG-8 / SMDI Copolymer. 1. After cleansing, put on Mask 1 for 10 minutes. 2. Remove Mask 1. 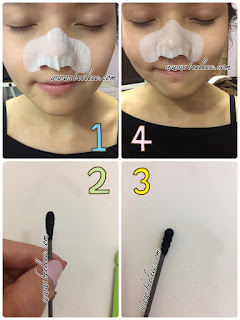 Use cotton swab to remove black heads and sebum. 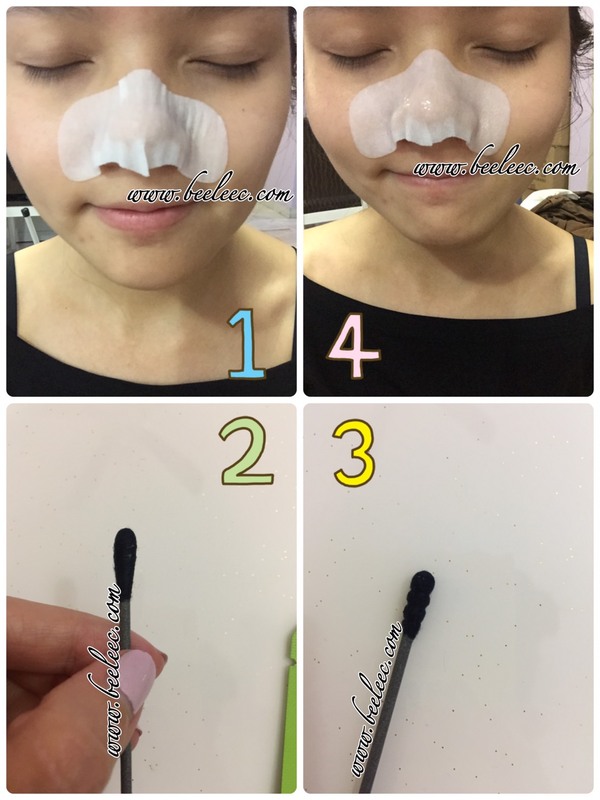 Roll cotton swab from outer to inner corners, and from bottom to top of your nose. 3.Put on Mask 2 for 10 minutes. 4. Remove Mask 2. Dab your face lightly to allow absorption of the remaining soothing gel. Avoid using around the eyes. Caution for those who are extremely sensitive to bandages or wet compress. Stop using the product if you experience the following persisting symptoms eg. rashes, swells, itchiness. Do not use on areas with scars, eczema and dermatitis. 1, Application of Mask 1 for 10 mins. 2 & 3. I only use one cotton swab. Each ends are different I don't know why. Though pic isn't that clear, IRL I can see my whiteheads stick to the cotton swab. So gentle omg. No squeezing / pressing. Just rolling motion. About the blackhead maybe I should use a white cotton swab of my own instead. I used the provided black cotton swab. Using rolling motion, I rolled from inner to outer and bottom to top of my nose. I was super surprised as I did not apply any pressure at all and some whiteheads / sebum (and maybe blackheads too but I cannot see) stick to my black cotton swab. Clearly, it did an effective and gentle job. Now, my nose is actually quite smooth already. They are now TWIN Pack Promotion if you would like to try for yourself! Thanks again to Hermo Malaysia for sending it over for me to review.